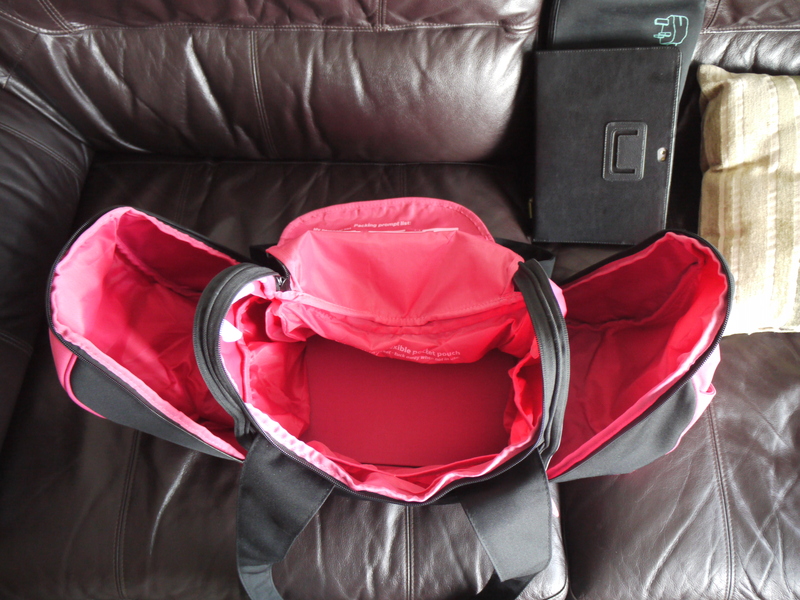 A while back I reviewed the Fleetfoot II running bag from Workplay Bags. I was really impressed with the design and functionality of the bag. I also own one of their Gymwise II bags which has rapidly become my bag of choice for days when I need to carry a laptop as well as my yoga kit. For a while now I’ve been eyeing up Workplay’s Goddess II bag – a gym and travel bag designed, as with all Workplay’s products, specifically for women. 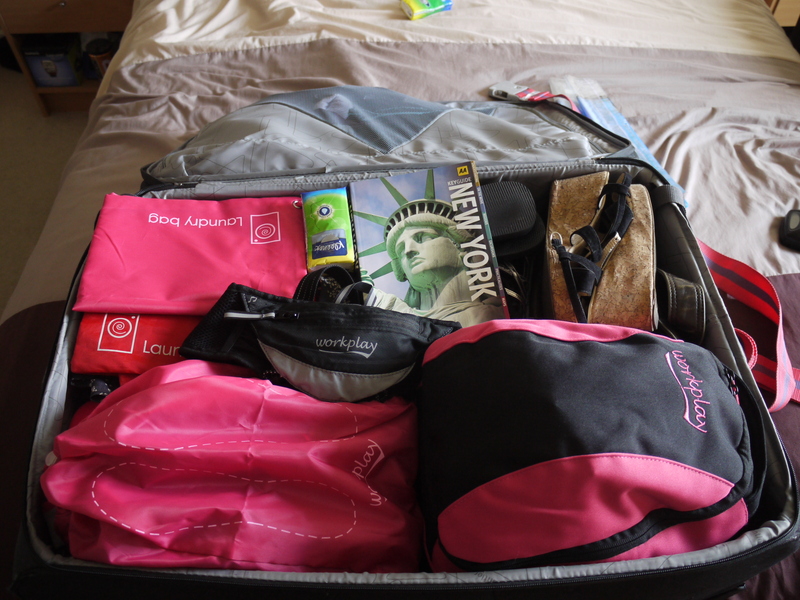 While I don’t belong to a traditional gym, I am lucky enough to travel relatively regularly and have never really found a bag which was versatile enough to cope with a weekend away as well as being great as a carry on for flying. Having spotted the Goddess II I thought that this might be the bag for me and so was delighted when Workplay agreed to let me try the bag out on my recent trip to New York. I eagerly awaited the delivery of my bag and was delighted when it arrived. It immediately struck me as being well designed and constructed which is what I’ve now come to expect from Workplay. I chose the bag in pink and black, but it also comes in black and grey. As I opened up the various compartments of the bag I was struck by the capacity of the bag but also the number of ‘extras’ that come with it. The side compartments both have zips which open all the way around to give easy access. On one side is a compartment for footwear which comes with a separate shoe bag to keep your trainers in. On the other side is a compartment for the wash bag. The main compartment has a bottom which folds down to give the bag some structure and then folds away so that the bag can be folded up and stored more easily. There are elasticated pockets on the sides and front of the main compartment for items that you might need to gain easy access to. In addition there is a zipped pocket on the top of the bag and a compartment for wet clothes at the back so that if you had been swimming you could store your wet clothes away from the rest of your kit. There’s also a separate laundry bag, a pocket to put a coin for the gym locker and a pocket at the front of the bag with a small magnetic fastener. So that all sounds great if you’re going to the gym. How does it shape up as a travel bag? I actually used the shoe bag and wash bag in my main luggage. 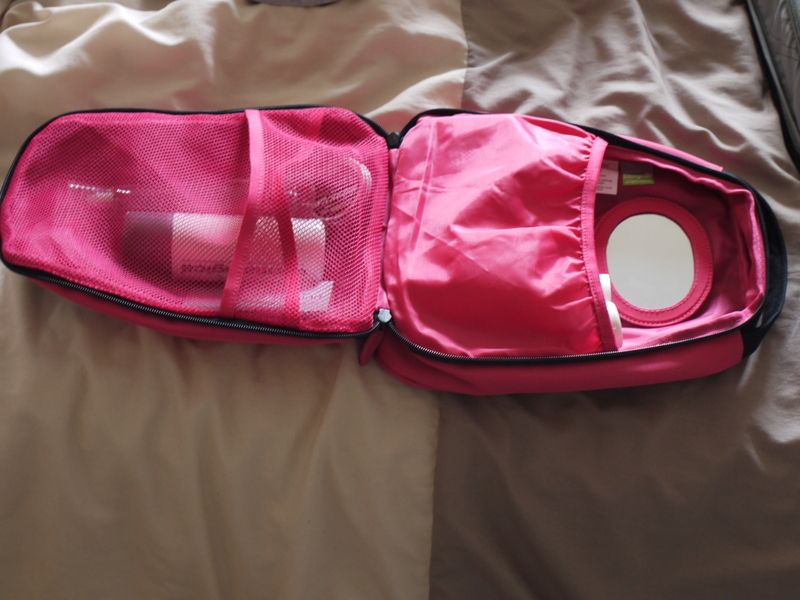 The wash bag has an impressive capacity and would hold full size bottles of shampoo/conditioner if you wanted it to. It’s also got a mirror and a handy handle so you can hang it up if you need to. 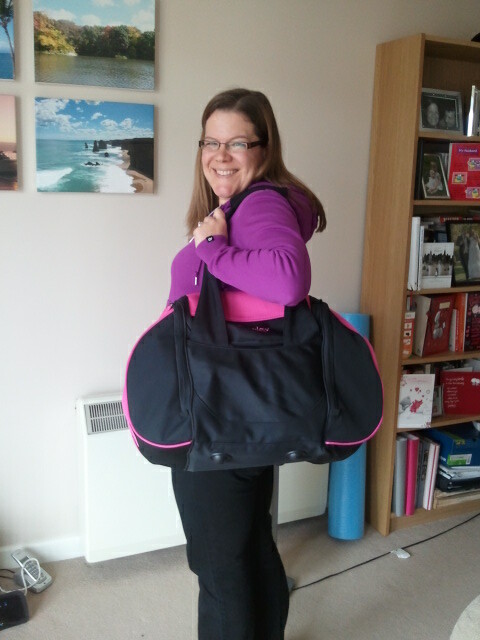 I also packed the laundry bag, as well as the one from my Gymwise II in my main luggage too. My luggage with all my Workplay bags! So onto the bag itself. I used one side pocket to store the things that I’d need to get out of the bag for getting through security at the airport – my liquids in their clear bag and our tablet PC. 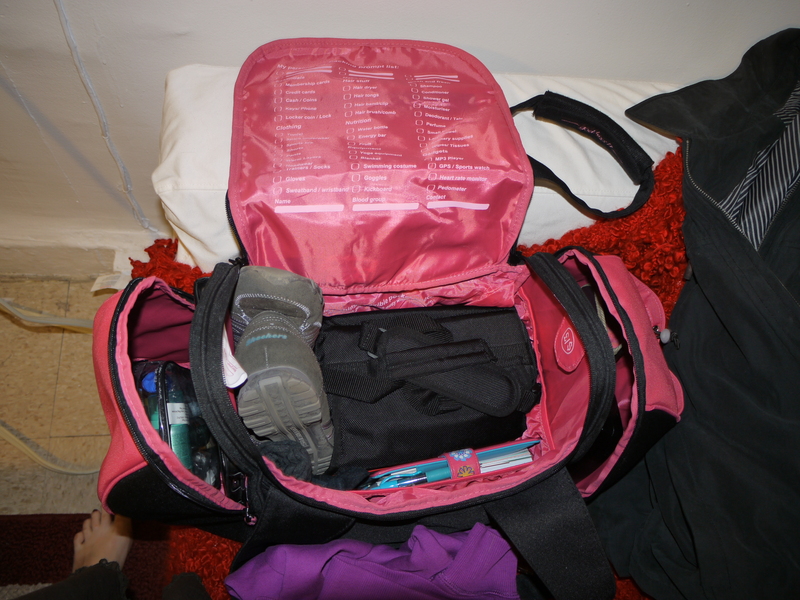 In the other side pocket I stored all the things I needed for the flight itself – a book, mp3 players, a jumper etc. Having these separate easy access compartments made getting through security and getting settled on the plane really easy. No searching my bag for my liquids – just unzip one compartment and there everything was. Genius! And the best thing? Despite packing the bag to it’s maximum it was still comfortable to carry. There are two straps which can be joined together into one – I preferred to carry it this way. The piece that sits on your shoulder is padded and makes it really comfortable to carry – none of that digging in you get with some bags. So is there anything I would change? I didn’t find that the pocket on the top was very easy to access while I was carrying the bag. I had originally put our passports and boarding passes in there to keep them safe but found that I had to put the bag down to access the zip. So I slid them into the pocket on the front with the magnetic fastening – from there I could get at them while carrying the bag – problem solved! Overall I think the Goddess II is a brilliant travel bag. You can tell that Workplay have really thought through the design of the bag and have managed to incorporate an array of features that I’ve simply never come across in any other bags. Although I used the Goddess as a carry on bag on this occasion I think it would also make a brilliant weekend or overnight bag as well and look forward to trying out for that soon. 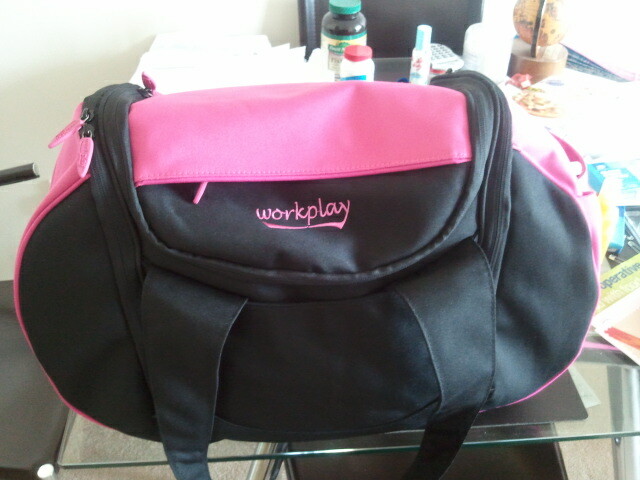 So well done Workplay on another brilliant bag. I am officially a big fan! And I should point out that while Workplay were kind enough to provide me with a bag to try out I’ve not been paid to write this review. I just think it’s another great product from an innovative British company. Next Injury update – some good news! I hope your Goddess enjoyed her trip to Wales 😉 Look forward to reading all about it!